Every fencer has a story about the glee, the comfort, and the joy that Bob Cochrane brought to his/her life. We can remember Bob Cochrane for his prowess on the strip. 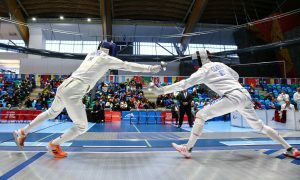 There were few fencers out there who had a more astute understanding of the tactics, timing, and mental game needed to win a bout. The long reach of Bob picked many of our wrists off over the years, and his storied career went as far as a bronze medal at the Veteran world championships and a countless number of national teams. We can remember Bob Cochrane as a coach. Many of us have stories about his calming and reassuring presence that taught us so much about the sport, the subtle nuances our naked eyes would not discover without his guiding hand, and the fact that he continued to give lessons regularly even with his illness present. We can remember Bob Cochrane as the quintessential teammate. Bob approached practice with a “rising tide lifts all ships” mentality, going out of his way to make each and every one of us better, and the manner with which he instilled a love of fencing in so many of us. We can remember Bob Cochrane as a great raconteur. For those who shared a beer with Bob, he was always full of great stories, a unique sense of humor, an infectious smile, and a presence that could make any of us feel uplifted after a long and drawn out day of fencing or refereeing. We can remember Bob for all these things, because Bob Cochrane was the quintessential fencer: a gentleman, a fierce competitor, and a leader in our community. Bob’s passing leaves a void in fencing, and we will miss everything from his distinct pink flamingo patch to his signature “Bob’s Left Sock” and “Bob’s Right Sock,” and the memories he left with us both on and off the strip. In practice, in competition, and even over beers, I learned so much from Bob. 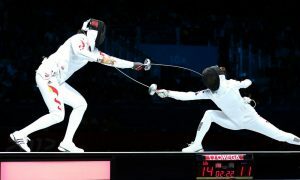 He had a simple way of explaining the complexities of fencing that gave me (and I’m sure many others) “ah-hah!” moments, and he always went out of his way to work with me to improve. The last time I fenced Bob was about a year and a half ago at the kickoff open. Our bout commenced with the same intensity that he and I often had when competing. By the end of it, we were laughing so hard we were out of breath. At one point after a touch, we engaged in a three minute conversation about the legality/benefits of switching between pommeling and choking a pommel. Our poor referee probably had no idea he was walking into this minefield, but we were having too much fun to care. Bob, I’m glad to have known you, to have learned from you, to have competed with you, and to have broken bread with you. To a great friend, role model, and mentor, thanks for everything. We love you and we already miss you. Ilya Lobanenkov, Head Coach of Reston Fencers Club – When I was a young fencer, competing at one of my first NACs, there was a bout that changed my life. It was a moment that looked like a certain victory, my coach came over looked at the score, watched for a few seconds, told me I got this and walked away. I lost 15-14. Thank you, Bob Cochrane for teaching me to respect all my opponents always. Thank you for being such a big part of so many lives. I wish I knew you better. Rest in peace. Jonathan Yergler, NCAA Champion, Editor in Chief of The Fencing Athlete – I am heartbroken to hear about the passing of my friend, Bob Cochrane. He was a HUGE reason I came to love the sport growing up. He provided encouragement, advice, a smile and a laugh at every turn as I grew in the sport. It’s people like Bob who have made this sport grow the way it has over the years. 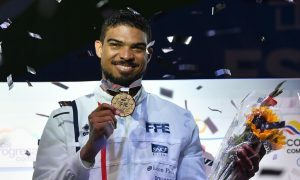 His passion for fencing and the people in its community was infectious and made the fencing community a better place at every turn. He was loved more than he could have known and he will be sorely missed… RIP Bob. Mario Jelev (Bob’s Coach) – I was Bob’s coach for 18 years. What I’ll remember most about him? Argument. Friendly, amicable argument. Philosophies of fencing, styles, tactics, you name it, we would argue about it, but always with a smile on our faces. It was always a welcome challenge to work with him. He needed very specific answers and explanations. He was a very knowledgeable, highly intelligent, and classy guy. Every lesson with him was like taking a Master exam, but I learned from him and he challenged me to be a better coach. 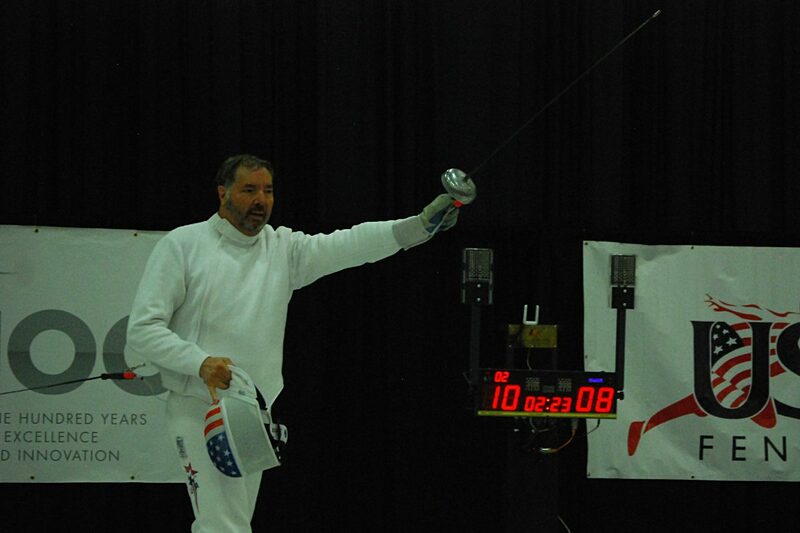 I will miss arguing with my true friend, who made my passion for epee even stronger. Stefanie Engstrom, Referee – If I said it once, and I said it a thousand times: Dammit, Bob. I’ve had a lot of wonderful referees and good people mentor me since I was but a wee babby ref (and boy, am I thinking about that right now, too, more than ever), but few people ever made the nervous, unsure, epee amateur I used to be feel more immediately at ease than Bob Cochrane. Yes, certainly when I had the pleasure to referee with him, sure – but even when I had to ref his matches, and he was at his most sneaky. (Dammit, Bob! But thanks for the practice there too.) No one fought quite like him. No one…well, labeled his socks like him. No one told a story like him.I don’t know what else to say. This weekend, I will be celebrating Bob. I’m gonna miss him. I suspect we all will. Annamaria Lu, Referee, Writer for The Fencing Coach – Bob was one of my first mentors at my first NAC. I won’t forget him telling endless stories and jokes to calm this nervous new referee down during her first bout on video. RIP Bob. Aaron Clements, Referee – I considered Bob a friend whose understated humour, good nature, and friendliness always made working with him and socializing with him highly entertaining. And then, when I joined the ranks of Youth 40 fencers, his willingness to coach and give advice, especially to this ‘coaches more than he fences’ fencer was much appreciated. He will be sorely missed.